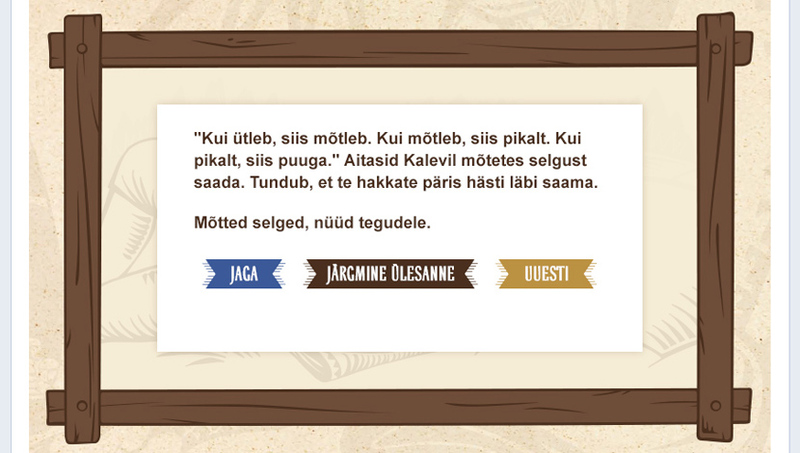 The client's wish was to offer a little more complex gaming experience to Kalev Magusamaailm's Facebook Page fans. Something that needed a bit more than one click on the mouse button. The aim was to introduce the Eepos (Epic) chocolate series in a mid summer day key. Offer some easy entertainment. 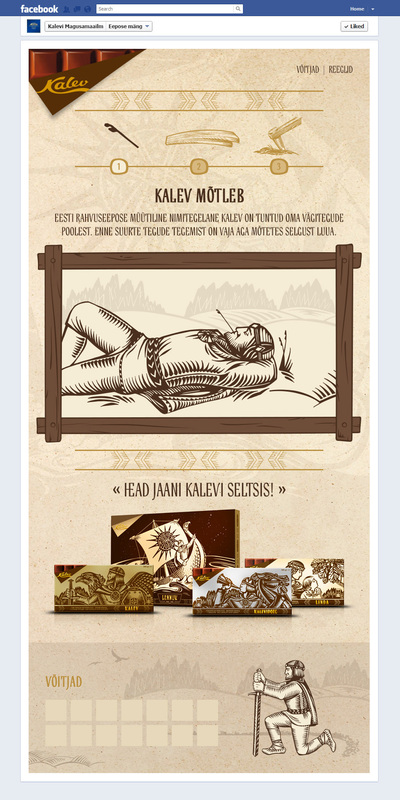 We came up with 3 typical situations in which Kalevipoeg prepared his day for the mid summer day celebration. The user's goal was to play through these 3 game stages. 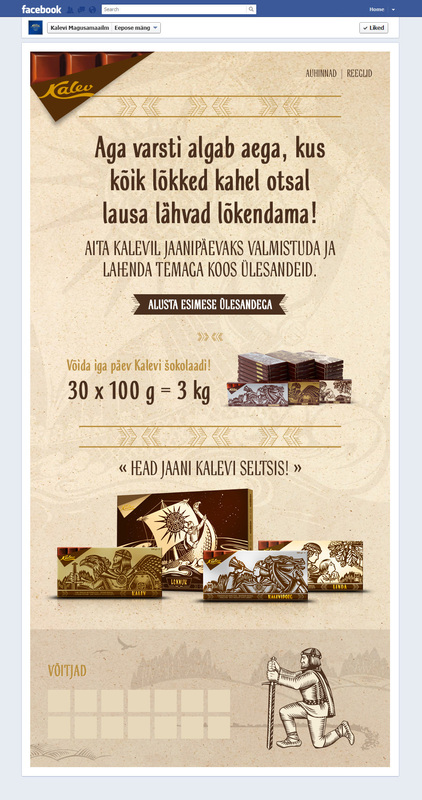 Every successful player took part of a raffle for Kalev Eepos (Epic) chocolates which were given out every week. And for the grand prize there was 2 kilos of yummy chocolate from the Eepos (Epic) series. 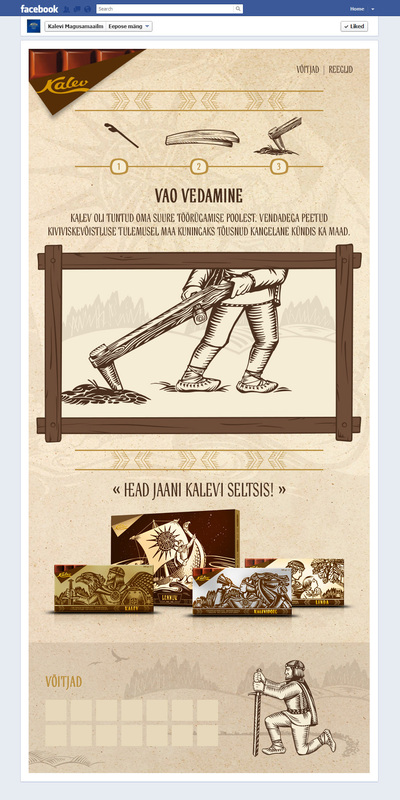 Application was also usable on mobile devices.